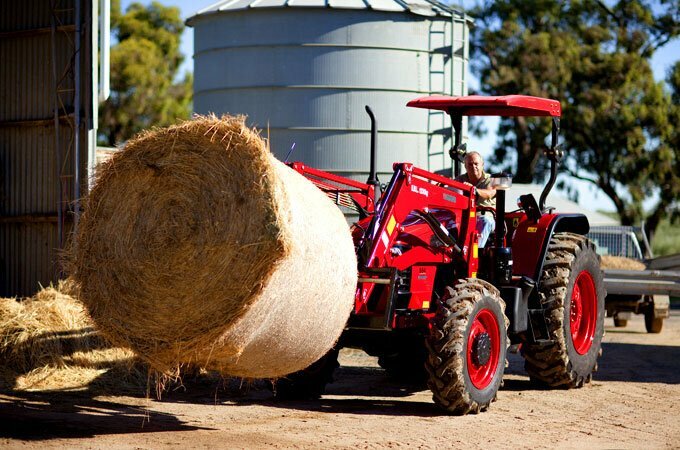 The APOLLO pallet and bale fork combo is suitable for all APOLLO tractors equipped with an X50 front end loader. 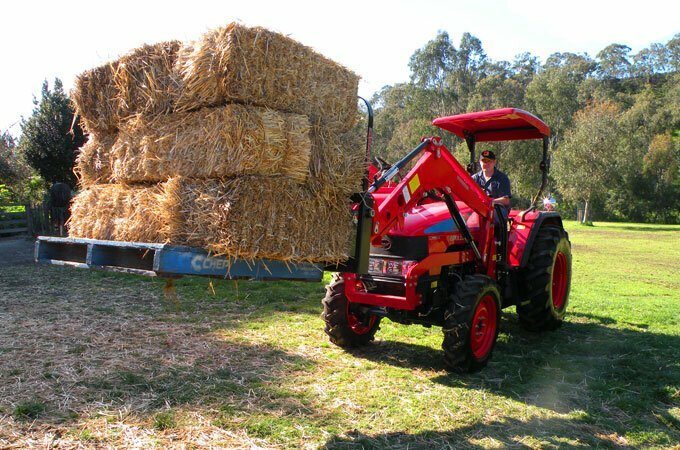 The combo has a quick hitch mechanism that adapts easily for transporting pallets, boxes and both rectangular and round bales. Stack palleted bales with the APOLLO pallet fork. Easily transport large rectangular bales with the APOLLO 554. The APOLLO 454 fitted with a pallet forks. APOLLO 854 with bales spikes. Ideal for lifting round bales, with a SWL of 1200kg. APOLLO bale spikes have three points on the cradle for spearing the bale. Two spikes at 900mm long and a third spike at 400mm are used for locating and stabilising the bale during transport. 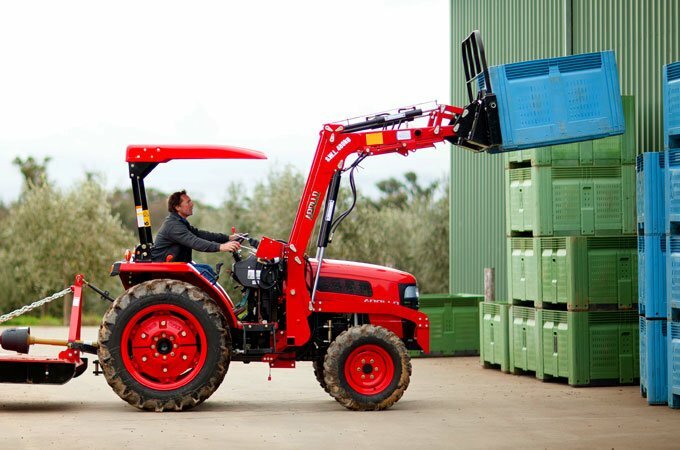 Note: The APOLLO pallet & bale fork combo is suitable for the APOLLO X50 loader only.